Description: Black Ink Decorative Mulberry Papers are a fun and imaginative way to personalize notes, make envelopes, picture frames, and even bookbinding. Whites 10pc- Medium collage pack. Includes classic mulberry, criss cross string, honeycomb lace, and gold mylar inclusion style papers. Contains five 8 in. x 10 in. sheets and five matching 4 in. x 6 in. sheets. 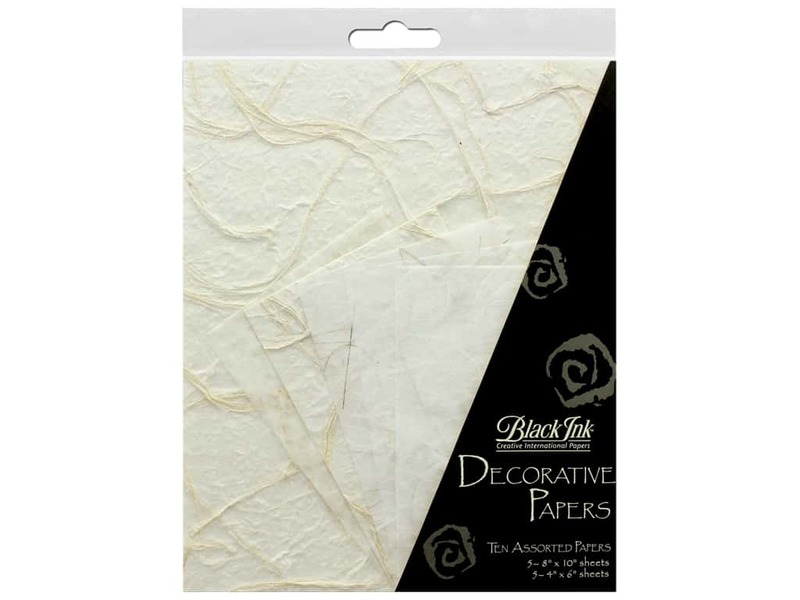 See more Black Ink Decorative Papers.